Using two optional detachable multi-tools, the WOKit 2.0 outdoor carabiner lets you deal with various situations during various outdoor activities. Like the idea? Let’s continue checking. The WOKit 2.0 is a durable and versatile outdoor carabiner that measures 4 x 2 x 0.5 inches (102 x 52 x 12mm) and weighs 2.6 oz (77g). 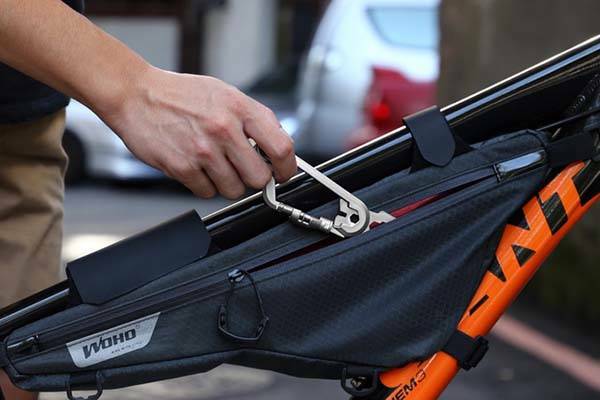 As we can see from the images, the carabiner shows off a lightweight and compact form factor that allows you to easily attach it to your belt or backpack, and it’s made from alloy steel for a solid construction. The carabiner features three built-in functions including 1/4″ reversible ratchet driver, bottle opener and keyring. More importantly, the multi-tool carabiner also features two optional detachable multi-tool kits including biker’s kit and camper’s kit. 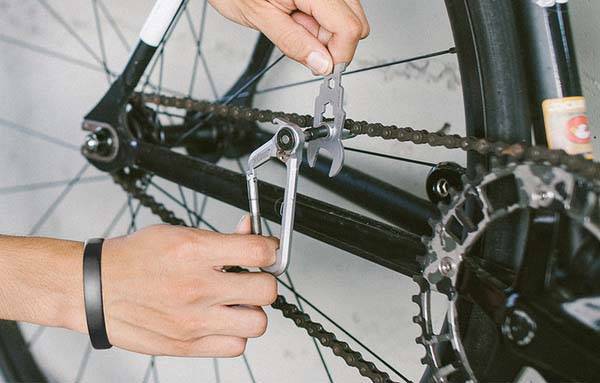 The biker’s kit has an extended tool wrench that offers five tools including 15mm high torque open-end wrench, 5/8/10mm box wrench, 1/4″ hex for tool bits, wheel spoke adjuster and metric rule. The camper’s wrench features 6 tools: cutting knife, dual blade saw, ply-bar, can opener, nail remover, and a holder for one fire flint or 2 tool bits. Thus you can choose between the two kits based on different demands in order to handle various tasks during your outdoor adventure. In addition, all the components and tools are made from durable materials including steel stainless, hardened steel, and medium carbon steel for durability and long-lasting design. The crowdfunding campaign for WOKit 2.0 is ongoing on Kickstarter. 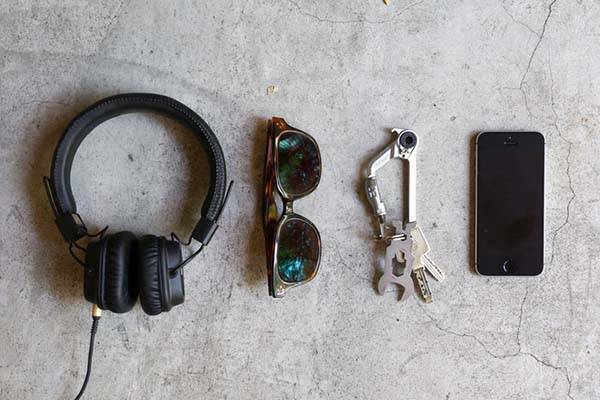 Pledging $29/$38 will let you own the Camper’s or Biker’s multi-tool carabiner. If reaching its fund goal, both kits would be shipped in August 2017 (estimated). BTW, don’t miss the Millennium Falcon multi-tool kit and more related gadgets by following tags.